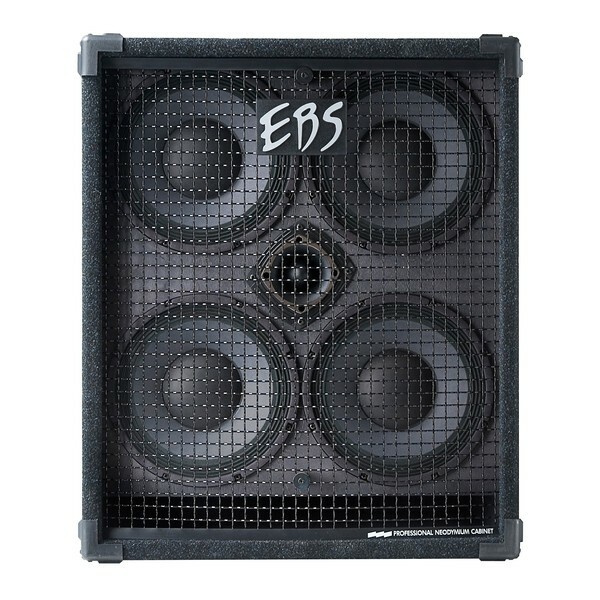 The EBS NeoLine 410 Professional Neodymium Bass Speaker Cabinet houses four extremely efficient 10" Neodymium speakers, providing a powerful, fast response and a well defined sound. Capable of handling the most demanding levels of sound, the 410 is perfect for bass players looking for extraordinary sonic qualities, portability and power. 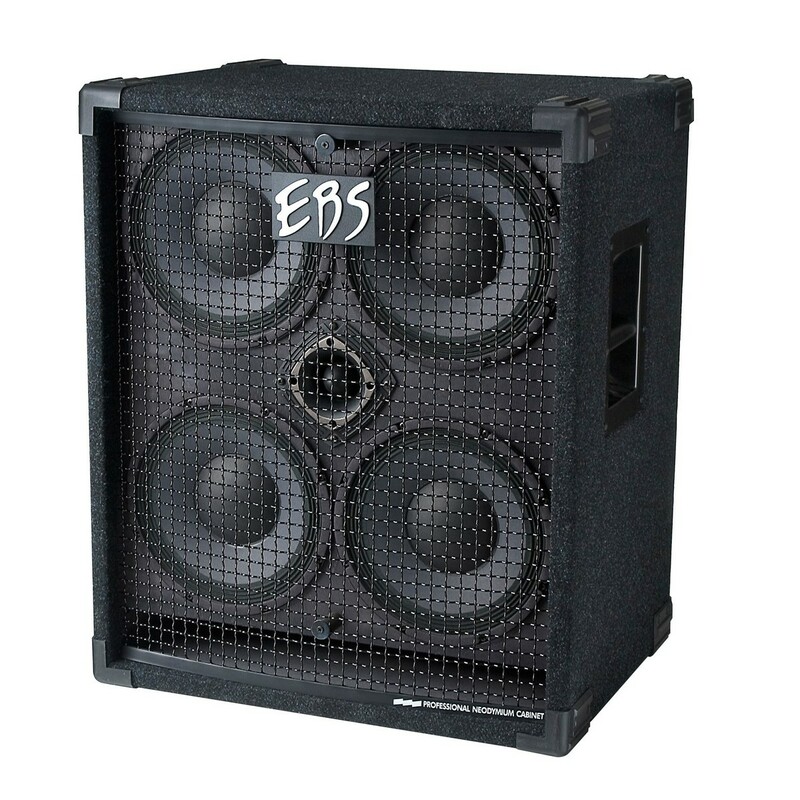 Like others in the NeoLine series, this roadworthy cabinet is especially built for heavy touring, and features a sturdy construction with protective features such as a woven steel grill, resistant felt and reinforced corners. 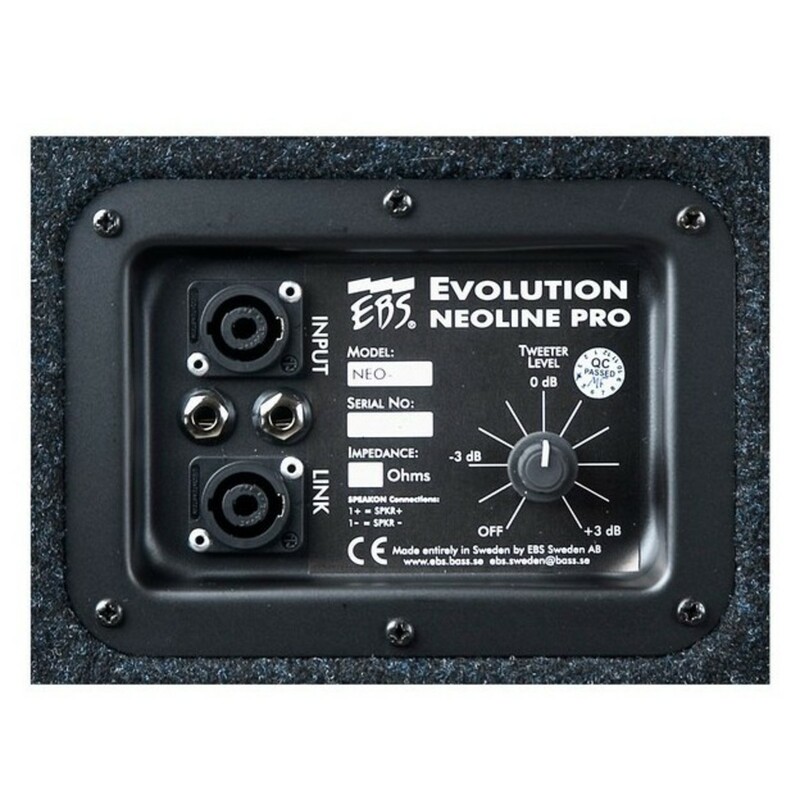 Used by artists including In Flames, The Haunted and Porcupine Tree, the EBS NeoLine range are designed to be lighter and more powerful than other speaker cabinets. The four 10" third generation Neodymium speakers fitted in this cabinet give superior, dynamic range and unbeatable power handling throughout the entire frequency spectrum. 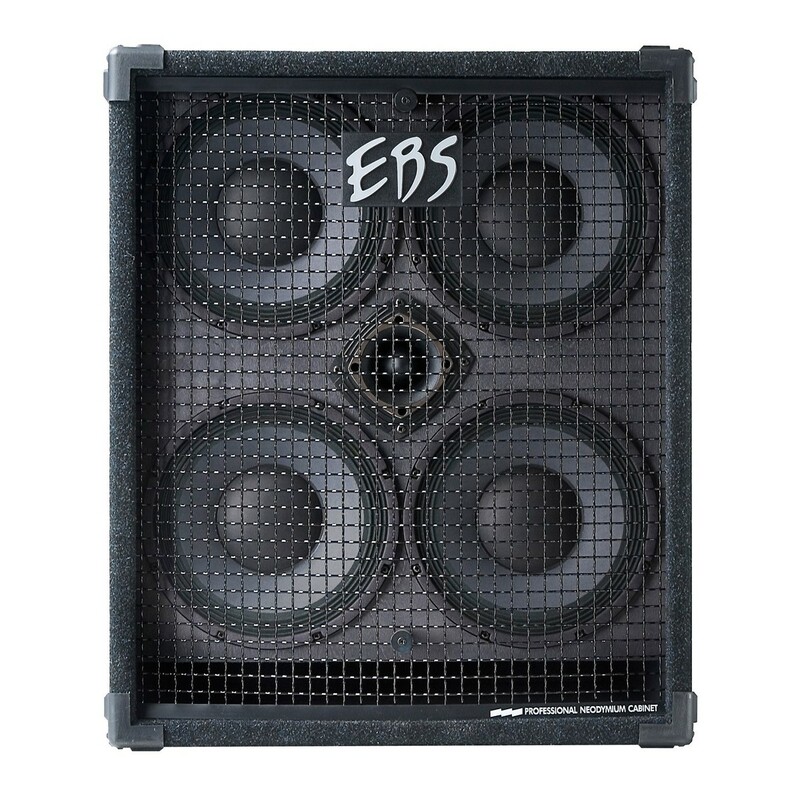 The speaker enclosure is made from spruce plywood which reduces the weight of the cab, and offers a lightweight structure that can be easily lifted without strain. For aesthetics and protection, the 410 is finished in a resistant felt with reinforced corners, along with a woven steel grill. Deep dish integrated handles are also incorporated for portable use.